From left to right: Jason Fararooei, SON; Billinda Tebbenhoff, SON; Dean Jeffries, SON; Delegate-elect John Bell; Dean Eskandarian, VSTC; and James Dyke, McGuireWoods Consulting. 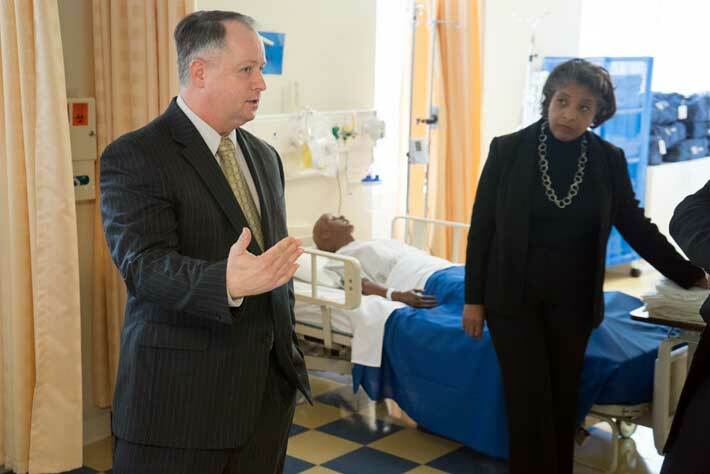 Dean Eskandarian, Dean Jeffries, and representatives from both the campus and the School of Nursing (SON) welcomed Delegate-elect John Bell (D-Loudoun) to campus today. Delegate-elect Bell is a GW alumnus and a proud GW parent. 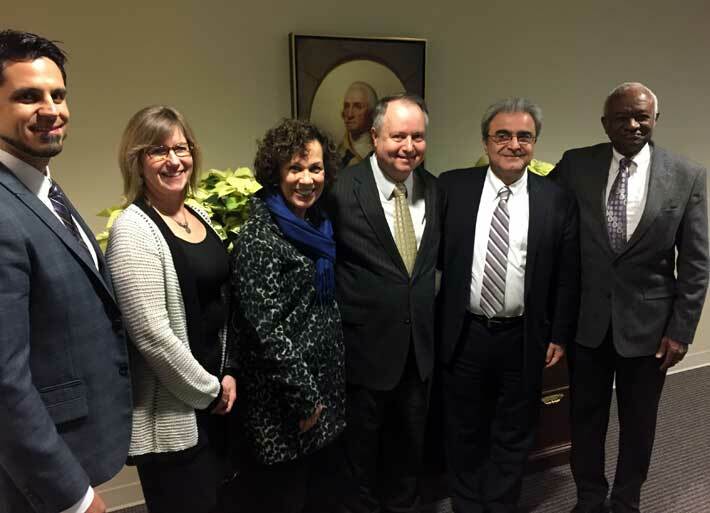 Dean Eskandarian and Dean Jeffries provided an overview of the campus and the SON, research and program growth at the campus, and some highlights on how the GW community is giving back to the Loudoun, and greater-Northern Virginia, community. Delegate-elect Bell shared some of his legislative priorities for the upcoming General Assembly session, including: increased opportunities for veterans, transportation research to alleviate congestion in Northern Virginia, and healthcare, specifically mental health, services in the Commonwealth. During his visit, Delegate-elect Bell had the opportunity to tour the SON Simulation Lab, as well as meet with researchers in the Center for Intelligent Systems Research’s Instrumented Vehicle Laboratory. GW looks forward to working closely with Delegate-elect Bell as an academic partner and trusted resource.